Today I had a booth on Lammetsymet in Sint Annaparochie, where I was born. I brought my paintings, drawings and painted objects. The day started early, because we had to be there at 7.30 to decorate our booth. Unfortunately it was só cold that I wore two jackets and a scarf the entire day. If I’d brought gloves, I’d have worn them too! That’s how chilly it was. But that didn’t spoil the fun! I saw lots of familiar faces and sold quite a bit. 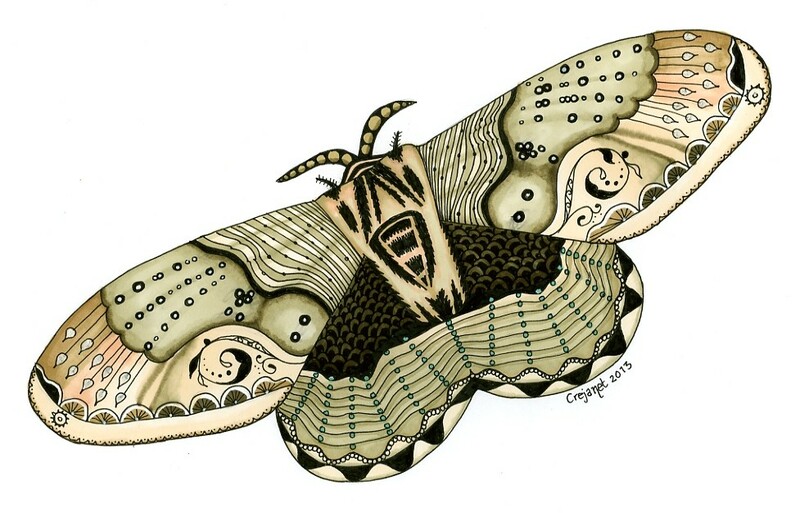 Even one of my favoritie original drawings of a moth. I’m sure the moth gets a great new home. It’s so nice when people are really enthusiastic about something you created. In august I will be in Sint Annaparochie again, on the Rembrandtmarket. 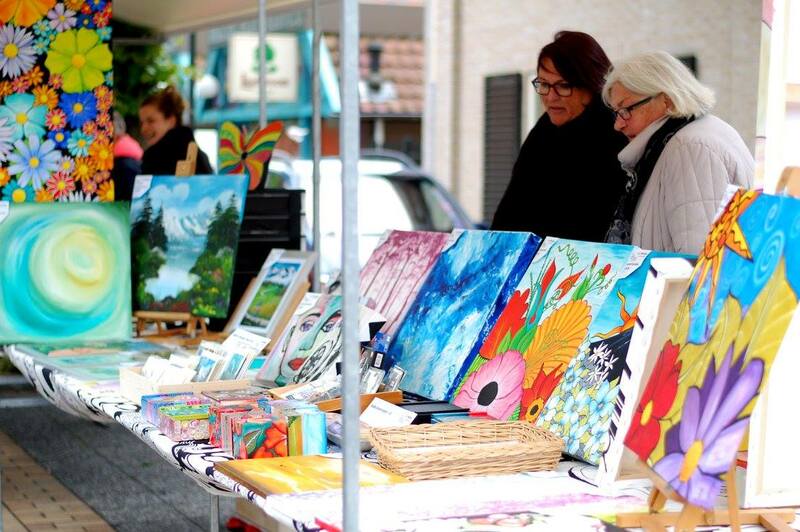 The anual art market around the Van Harenskerk. The church Rembrandt and his Saskia married in.